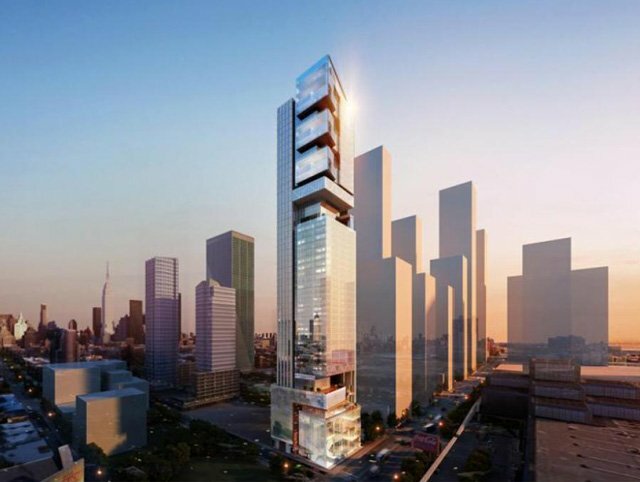 Rising 720 feet tall from the corner of 11th Avenue and 38th Street, Archilier Architecture’s new, unconventional mixed-use tower from developer Black House will bring 51 luxury apartments and 419 hotel rooms across the street from the newly-renovated Jacob K. Javits Center. 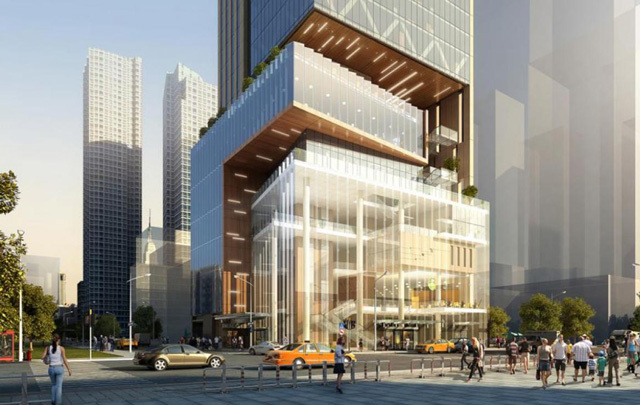 While the ultra high-end skyscraper is one of many new construction projects in the city, it promises to be unlike anything we’ve seen before on the streets of Manhattan. 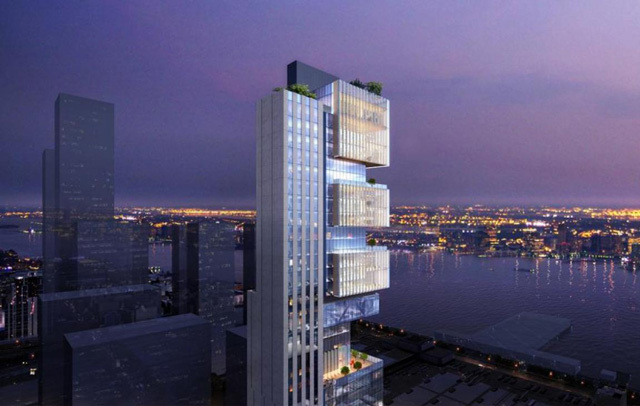 Mirroring the bright and airy feel of a Chinese lantern, Archilier’s self-described “alternating volumes” for the upper level residences at 470 Eleventh Avenue will offer inhabitants beautifully lit glass enclosed terraces and private “sky” pools — normally unheard of above 500 feet. Condominium residents won’t be the only ones to enjoy this unique open space. Recently released renderings from the architect reveal that hotel guests will have their own light-filled terraces as well as what appears to be a gorgeous open air lobby situated about two-thirds of the way up. Though not typical for Manhattan, Archilier Architecture’s award winning design for the 320,000 square foot structure complements other projects being developed by Black House, namely the The Soori High Line, whose Asian-inspired design will also boast private heated swimming pools. 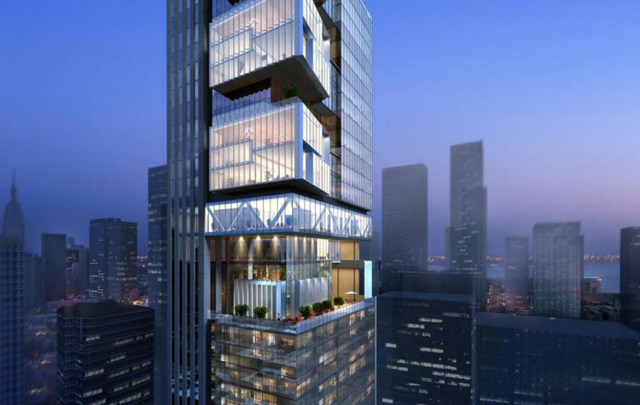 And a similar structure — a single residence boasting over 398,000 square feet of living space — was recently completed in Mumbai, and is being touted as the “Greenest of All Buildings”. 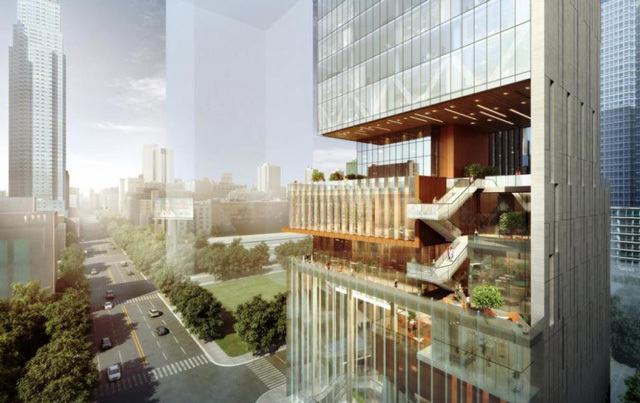 Certainly a trend toward more integrated outdoor space is a welcome addition to New York’s concrete and steel jungle and all eyes will be on 470 Eleventh as Archilier’s vision comes to life.